insulatory material that covers the axons of many neurons. 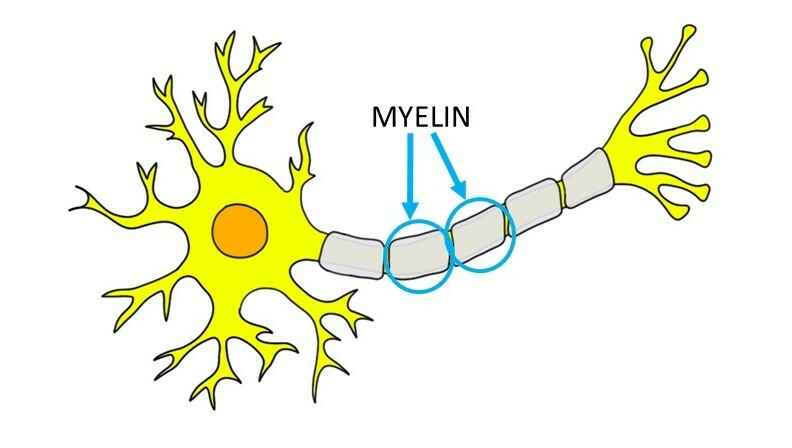 Myelin is essential for proper nervous system functioning as it allows action potentials to continue along axons without degrading. Myelinate is a verb meaning to wrap the axon of a neuron in myelin.